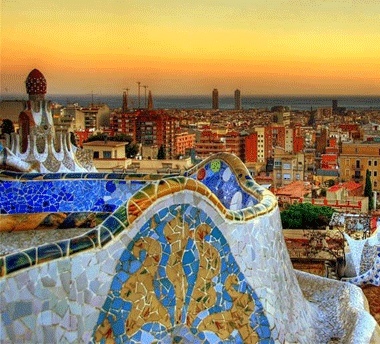 According to every poll worth its clipboard, Barcelona is the European city best loved by visitors. Spend just over two hours in the air and you’ll arrive into a city that is made up of a seductive cocktail of architecture, imagination, tradition, style and nightlife along with a cool and confident swagger. Barcelona’s love of eccentricity had already brought about a wealth of quirky museums (such as those devoted to shoes, perfume, sewers, funeral carriages and mechanical toys), to which more were added. Its handsome but grimy façades were buffed up, its streets renamed and its churches restored; its nightlife has been rejuvinated, restaurants and bars have been revived and everything about the city seems to buzz. Ciudad Condal, Rambla de Catalunya 18, 08007 Barcelona. First things first, you're going to have to wait about 20 minutes for a table. PLEASE .....take our word for it.....grab a beer or a glass of wine and the menu and take a seat and wait the 20 minutes. Remember, you're on your holidays! Relax. Order your food. Have another glass of wine. And then ENJOY. Feel free to make groaning noises, the food is that good! Comerc 24, Carrer del Comerc, Ciutat Vella, Barcelona 08003. Located in El Born area of the city, this restaurant is creative in all things food and is led by one of the acknowledged masters of the new wave of Catalan cuisine. Mam i Teca, Carrer de la Lluna, Barcelona 08001. All the usual tapas, from anchovies to cured meats, are rigorously sourced, and complemented by superb daily specials such as organic botifarra, pork confit and asparagus with shrimp. Moo, Carrer de la Rossello, Barcelona. Superbly inventive cooking is overseen by renowned Catalan chef Joan Roca and designed as ‘half portions’ – it’s better to experience the full range, from sea bass with lemongrass to exquisite suckling pig with a sharp Granny Smith purée. La Fianna, Banys Vells 15, El Born, Barcelona 08003. We didn’t know whether to put this in under Food or Drink as it serves both – and very well at that. A classy joint serving cocktails, beers, spirits and an extensive wine list, La Fianna is part of the next generation in evening entertainment. 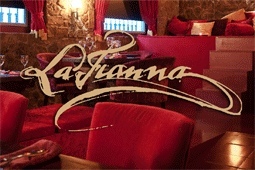 Receive a FREE COCKTAIL at La Fianna when you book your city break package with Arrow Tours. El Xampanyet, Carrer de Montcada, Barcelona 08003. On a narrow, cobbled alley near the Picasso Museum, the coolest bodega in town. Blue-tiled walls and antique artifacts combine with marble tables and zinc bar. 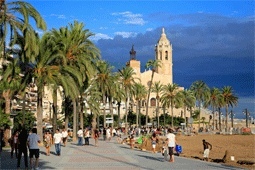 It's old meets new, trendy meets trusted - the Spanish psyche itself. Cava is sold by the bottle and a pre-club crowd come here to sip it over tapas with aging locals. 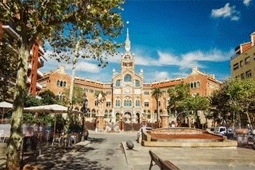 Aurora, Carrer de l’Aurora, Barcelona. A bizarre amalgamation of decorative features and a fun-loving, arty party crowd create a quirky Valhalla that's open till dawn on weekends. The music's eclectic, cocktails classy and the décor's deepest red. 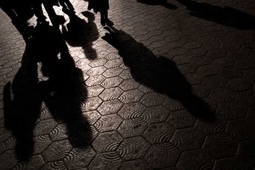 Department-store bargain-hunters should note that the winter sales officially start on or around 10 January and their summer equivalents on or around 5 July. 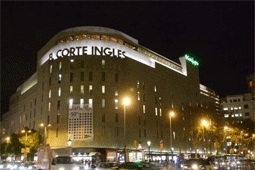 The big department stores (such as El Corte Ingles) and shopping complexes (such as El Triangle) tend to open from 9am or 10am through to 9pm or 10pm at night, Monday to Saturday. Small designer boutiques are concentrated in the Born area, and the C/Avinyó in the Barri Gòtic. 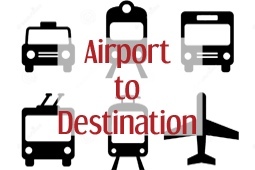 A taxi service also operates from the airport.